The Moog Sirin 'Analog Messenger of Joy' is a limited edition analogue synthesizer based on the legendary Taurus Bass sound engine. An Evolu.. The Moog Sirin 'Analog Messenger of Joy' is a limited edition analogue synthesizer based on the legendary Taurus Bass sound engine. To celebrate the 2019 Moog House of Electronicus experience, a unique musical event in Los Angeles California, Moog have produced the limited edition Moog Sirin. This fantastic new analog synthesizer is powered by the legendary Moog Taurus Bass sound engine but it takes you far beyond bass, giving you notes that reach up to D8. As a result, you can use this awesome analog synth to produce full-fat bass lines along with some seriously soaring lead parts. Strictly limited edition, don’t miss out on owning this very special Moog synthesizer and buy now at Professional Music Technology. With a classic 4-pole Moog Ladder filter, two incredibly fast ADSR envelopes and a multi-wave LFO, the Moog Sirin synthesizer gives you a wide spectrum to work with and boasts incredible versatility and expressive potential. 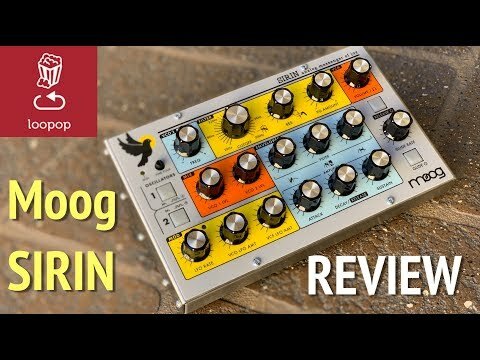 While its sound engine is derived from the Taurus Bass, Moog Sirin synth’s two analogue oscillators have been modified to give it much wider range. While previous Moog Taurus Bass synths kept their tone production at middle C and below, the Moog Sirin soars high above this with notes hitting as high as D8. Making it easy to use, the Moog Sirin has a classic knob-per-function and comes with free Editor/Librarian software. 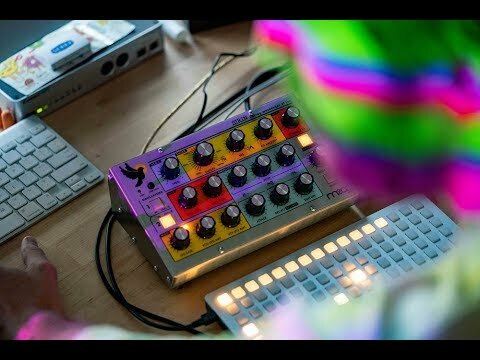 Moog have also designed their Analog Messenger of Joy synthesizer to easily integrated with any DAW or MIDI controller giving you virtually limitless options. You can save up to 128 presets on the hardware and automate parameter and with a little exploration you’ll be able to uncover some hidden features to help you on your quest of musical discovery. The Moog Sirin has been designed to encourage expression, creative and… joy, giving you all the tools you need with its intuitive control set and amazing audio generation. A strictly limited run of the Moog Sirin synths are being produced by the employee-owners at the Moog Factory in Asheville, NC, USA and after that there will be no more. Once the initial run is gone, the Moog Sirin is gone forever! Buy the Moog Sirin analog synth from Professional Music Technology now before you miss out on the incredible journey that only this synth can bring to your life.